Current rate for hiring Lincoln Town Car Signature 4.6L with driver starts at only 55 euros per hour ! 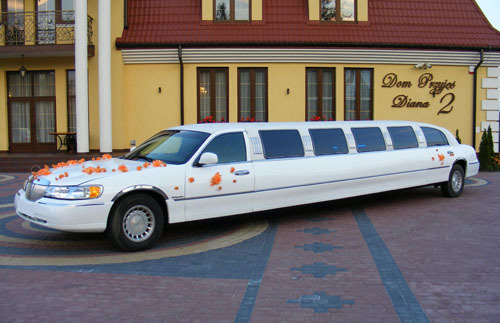 Complex limousine service (for example weddings, VIP Services) starts at only 220.00 euros per event ! - price includes 50 km of covered distance, each additional kilometer only 0.50 cents ! Please contact us to check availibility and get your limousine reserved today ! Reserve this limousine today ! Current rate for hiring Lincoln Town Car Executive 4.6L with driver starts at only 60 euros per hour ! 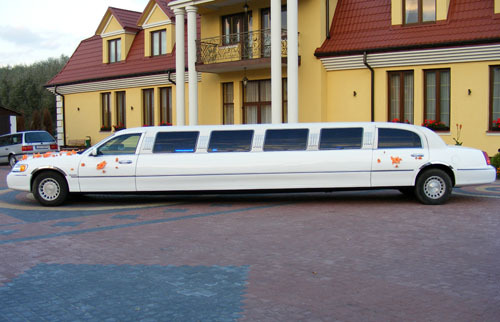 Complex limousine service (for example weddings, VIP Services) starts at only 240.00 euros per event ! Reserve this limousine today !! Current rate for hiring Lincoln Town Car Cartier 4.6L luxury limousine with driver starts at only 80 euros per hour ! Complex limousine service (for example weddings, VIP Services) starts at only 320.00 euros per event ! Current rate for hiring this 6 passengers limousine with driver starts at only 100 euros per hour ! Complex limousine service (for example weddings, VIP Services) starts at only 400.00 euros per event ! This luxury 12 meter long nad 8 passengers limousine we rent for complex events including weddings, VIP trips and artistic events. Price for the whole event starts at only 600.00 euros ! This is the only such long limousine in the whole region ! Current rate for hiring this 6 passenger Dodge Grand Caravan SXT 3.8L with driver starts at only 55 euros per hour ! Complex service (for example weddings, VIP Services) starts at only 220.00 euros per event ! Reserve this minivan today ! Reserve Your Lincoln Town Car limousine today! Hire Lincoln Town Car for Euro 2012 charter trips !